Hi! I'm excited to show you my new quilt pattern, "Evergreen State." It's available as an instant PDF download in my shop at Craftsy. I came up with the beginnings of this design earlier this year when someone on a blog was giving away Christmas fabric but you had to describe what you would make if you won the giveaway. I didn't get picked for that giveaway but decided to go ahead with the quilt anyway. I thought about this quilt a lot when I first broke my finger this past summer and couldn't do much of anything at all. I love this fabric line--it's Blitzen by Basic Grey. 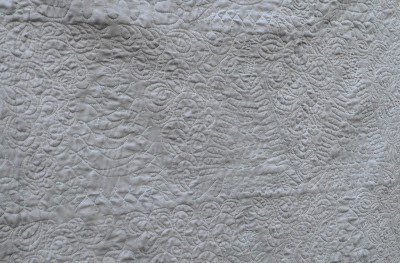 Their fabrics always make such beautiful quilts. 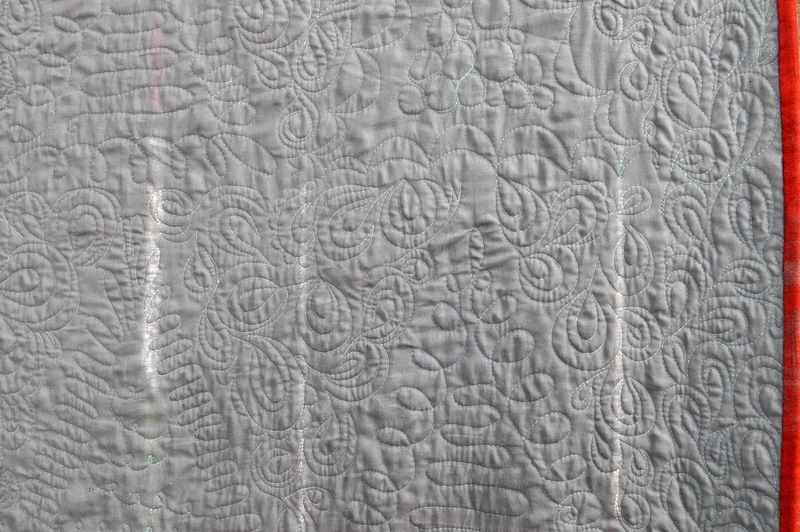 I really enjoyed doing the free motion quilting, too! It took a while, as usual, but I am so happy with the results. The teardrop-shaped design is new to me and I don't feel like I can change directions easily while quilting it (most of my shapes go one way) but it was fun to do something new with my quilting. I did a few different designs in the pieced triangle/tree blocks too. 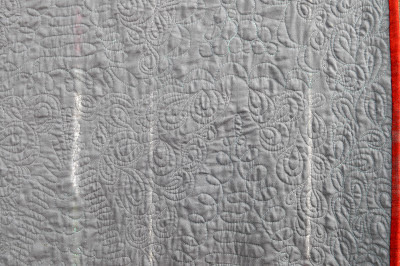 The quilting shows up much better on the quilt back. *The pattern is a PDF download and the cost is $8.50. It's available here. *Fabric requirements are listed here. 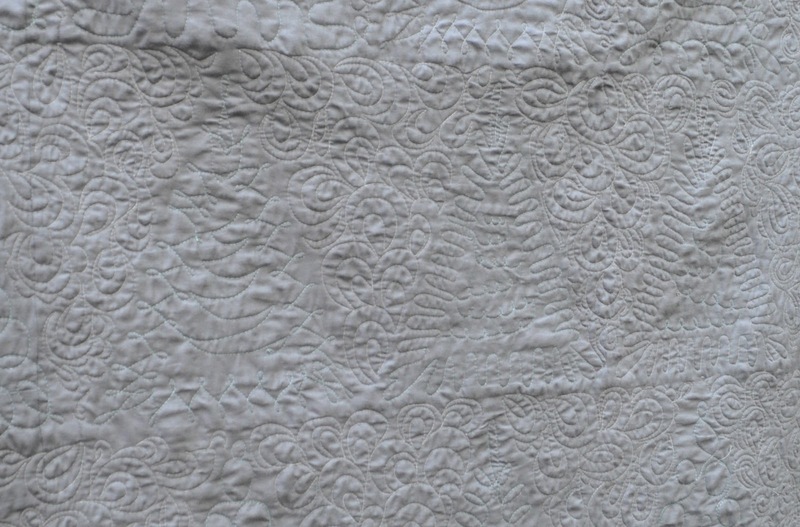 *The quilt is throw-size, 52" x 73"
*The pattern includes photos, diagrams, and printable templates along with instructions for making the quilt. 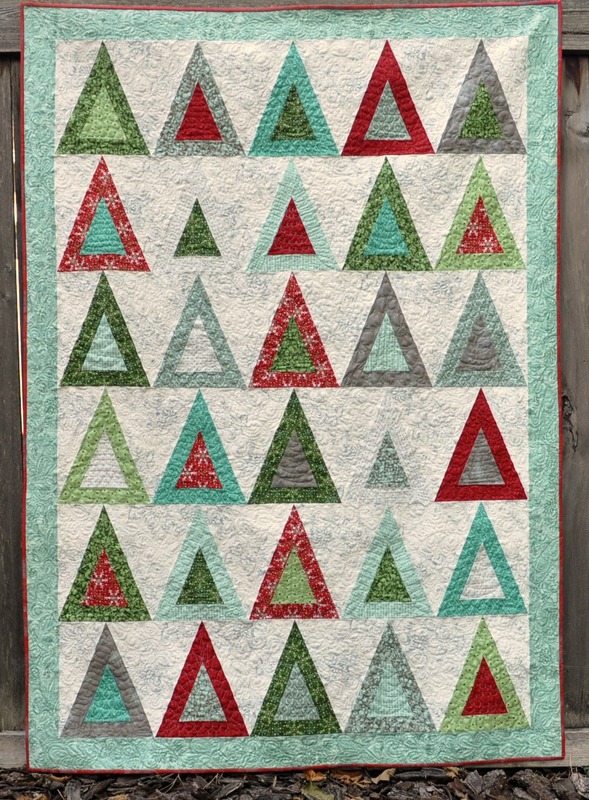 If you want, a 45 degree triangle quilting ruler is useful, but it's not required. Beautiful quilt! That pattern is great with Blitzen fabric. I love the colors, especially the green with gray. The back is absolutely beatuiful with the free motion all over. 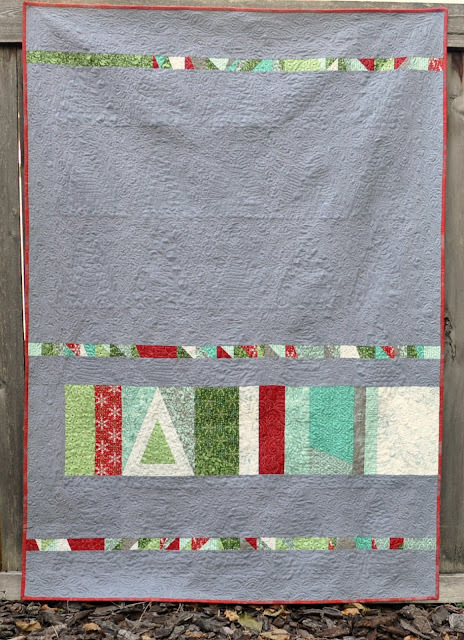 Lovely quilt and great quilting! Very nice, especially with the Christmasy fabric. 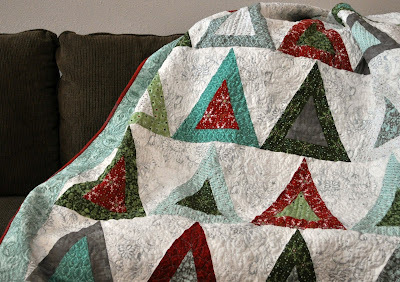 Your quilt is just beautiful. It really pops and the quilting is wonderful. Know Thy Machine Blog Hop!